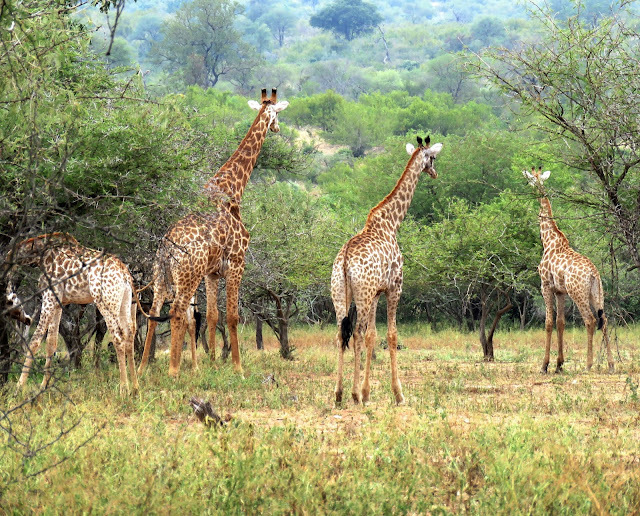 A leisurely drive in the park resulted in spotting these giraffes. 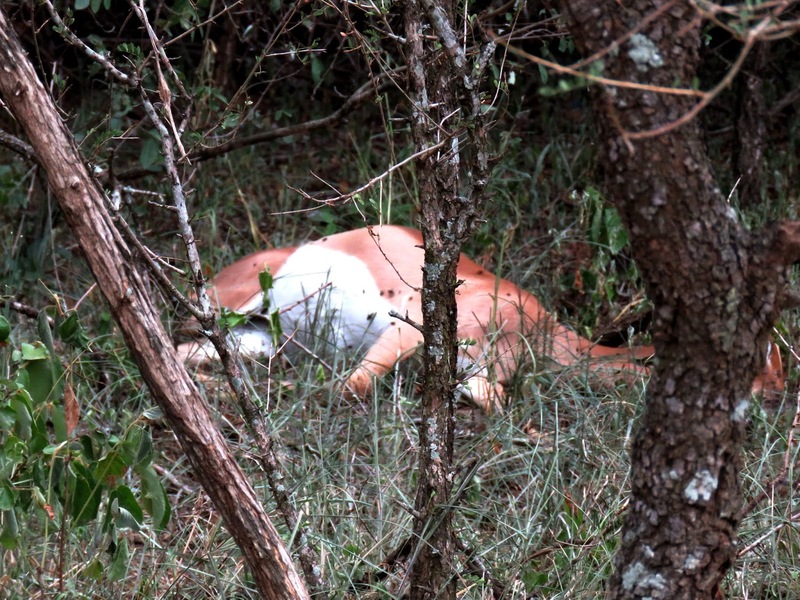 We observed nature taking its course when we spotted this dead impala in the bush. It was so cool we stayed inside the house this morning. At 7:00 am, the temperature on the outside thermometer showed 8C, 46.4F, a little too cool for us to be sitting outdoors. It's warmed up wonderfully in the past few hours but we're just not used to these cold mornings. "Big Daddy" nibbling on leaves. Last night, we managed to dine outdoors but as the evening wore on, we had no choice but to go inside. On June 21st, winter will begin in this part of the world. When we were here four years ago, from December 1st to February 28th it was in the heat of summer for most of our stay. Summer starts on December 21st and it was hot, hot, hot during those three months. We recall sitting on the veranda all day wearing the least amount of clothing possible with all exposed skin covered in repellent as protection from the mosquitoes. At night, we were forced indoors due to the mosquitos. Pretty female kudu in the bush. Of course, we're a little tougher now and when summer comes round again in December, we'll be more prepared for the heat and equally more resilient with the mozzies and other insects that the summer months bring to this part of the world. 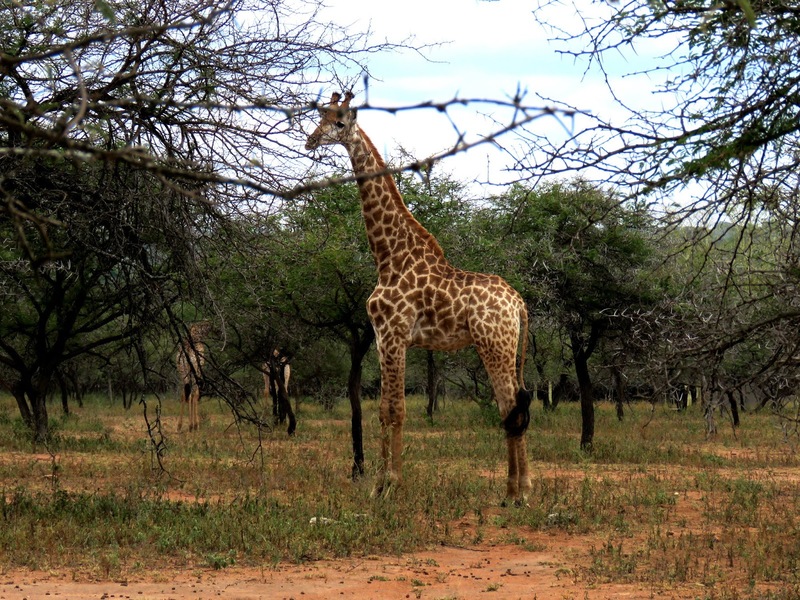 In February, we'll fly to Kenya for the exciting photography tour after which we'll be leaving Africa until we return by cruise 21 months later for a short three-month stay during which it will be spring and summer again. Elephant spotted from the Marloth Park side of the fence between the park and Kruger. Yesterday, Tom dropped me off at the Spar Shopping Centre in Komatipoort at a local women's clothing shop while he headed to Lebombo to buy the usual carrots and apples. I had one credit card with me. No problem. The shop accepted credit cards. I found three warm tops to get me through the cold season, handed the salesperson my credit card with a plan to walk to the supermarket and begin shopping. When Tom returned he'd find me partially done with the grocery shopping. Parade of elephants leaving the river to head back into the bush in Kruger. Alas, the credit card processing device indicated the "system was down" on their end. I waited no less than 20 minutes while they attempted to get back online to no avail. This is Africa, after all. These things happen. I left without my items with a plan to return when after grocery shopping. Tom had all the cash in his wallet. We hooked up in the market and while Tom loaded the groceries into the car, I walked back to the shop but this time with sufficient cash to make the purchase. View of the Crocodile River. Determined to get the three items; one soft jacket and two sweaters, priced at only ZAR 606 (US $45.67), I didn't mind walking the distance back to the store. Their machine still wasn't working and thus, I paid with cash, reassuring the staff, "no worries" since they both seemed so concerned for any inconvenience this may have caused. In no time at all, we'd returned to Marloth, put everything away and settled in for the remainder of the day and evening. Earlier in the day, we'd decided to have Tom start using the new laptop we'd purchased for me last November. Crocodile River has many sandbars and small islands, creating a haven for birds and other wildlife. We'd had it shipped to us in Florida while we were awaiting a cruise, with the intent that once my over-three-year-old laptop died, I wouldn't have to worry about getting a replacement in a rush. Alas, this laptop keeps chugging along without any major issues so I postponed loading it with my files. Instead, I've continually backed up all my data on a cloud and also on our portable two terabytes external hard drive which we purchased in 2012. Eight female kudus stop by in the early evening. When Tom started having problems with his laptop's monitor about a month ago and after a trip to the tech store we discovered there wasn't a practical fix for the issue. Tom found a temporary workaround which failed Wednesday night. Subsequently, we fired up the new laptop for Tom and all is working well. Thank goodness, we had the extra unit. Next time we place an order to be shipped here, (we're waiting for a box to arrive in the next few days), we'll include another laptop for me. At many points in Marloth Park, we can walk toward the fence to see the river. Constant travel and heavy usage is hard on laptops. We've replaced them several times in this past almost six years. But, like many other aspects of world travel, one must adapt to the expenses, inconveniences, and realities of living this type of life. Whether it the weather, technology failing in stores, insufficient and unsuitable clothing, or the shorter life of digital equipment, its all a part of the experience which we've learned to take in our stride. Most often we see giraffes in groups, called a "tower" or "journey' of giraffes. 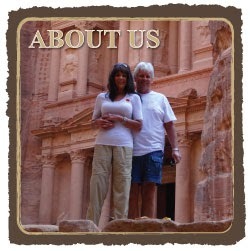 Tonight at sunset, we're meeting Kathy and Don at Amazing River View for sundowners and watching wildlife on the river. Once the sun sets, we're all off to Jabula for dinner. They are leaving Marloth in a few days and may not be returning for several months. We'll miss them along with many other friends who have left for a period of time. But, we're fortunate to have other friends living here permanently or staying through the winter season, like us. There will be no shortage of social interaction! Have a warm and blissful day! This scene from Butchart Gardens in Victoria, British Columbia, reminded us of Versailles in Paris. For more photos, please click here.